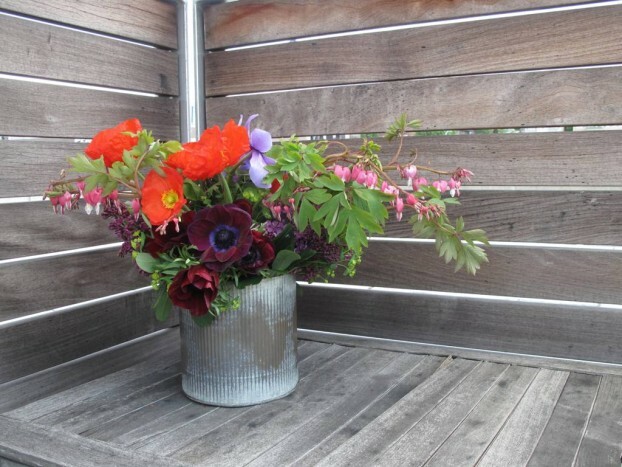 For Earth Day a local real estate mangement firm asked me to give a talk and demonstration during a lunchtime event held on the rooftop garden of a hot LEED-Certified building in Seattle’s Southlake Union neighborhood.What a great chance to speak with office-bound hipsters from architecture, design and advertising agencies about LOCAL flowers and ECO design! 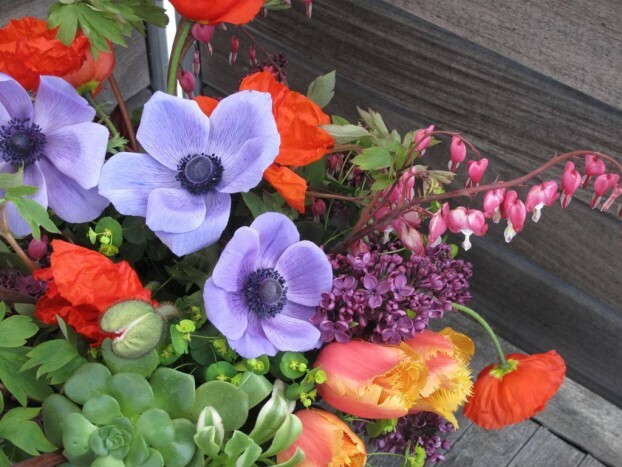 And what a perfect time to do this – when the vivid hues of springtime are exploding from my favorite Northwest flower farms! 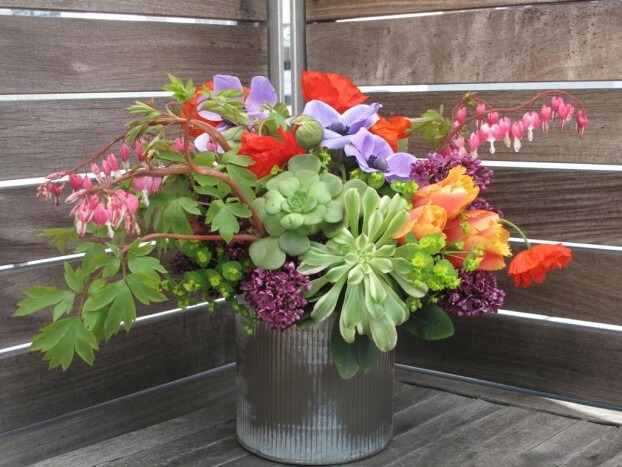 Local ornamental shrubs, perennials and flowering bulbs, with a few succulents tossed into the mix. 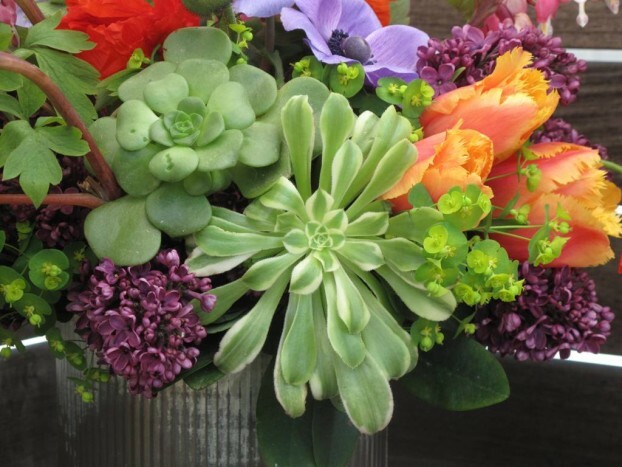 Detail showing the variegated aeonium and green rosette-style succulent. Nice overhead detail that captures all of nature’s glorious forms and colors. Back view: showing off those maroon anemones! 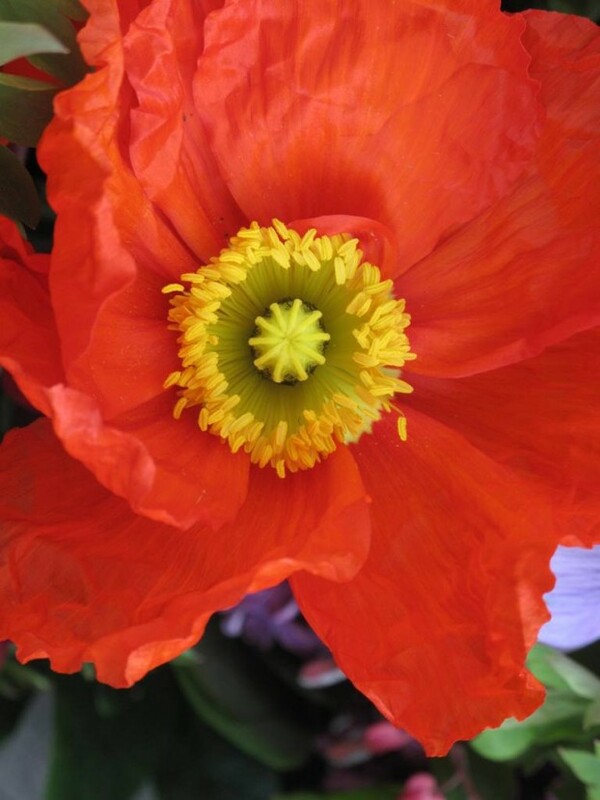 A burst of Earth Day sunshine in this lovely Washington-grown poppy! 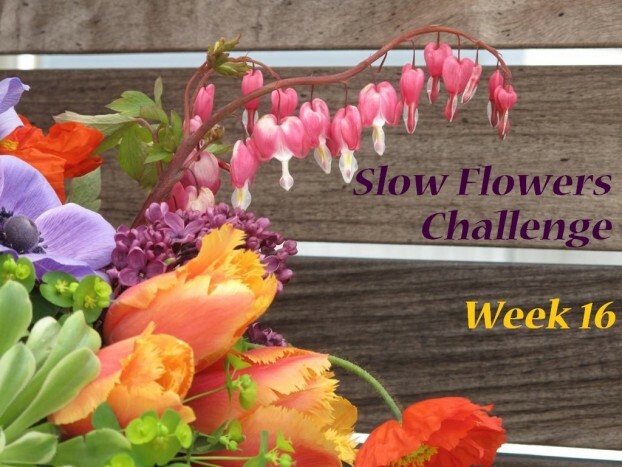 This entry was posted on Sunday, April 26th, 2015 at 6:25 pm	and is filed under American Grown, Blog Posts, Creativity, floral design, Flower Farming, General, Plants, Slow Flowers Challenge. You can follow any responses to this entry through the RSS 2.0 feed. You can leave a response, or trackback from your own site.